Recent years have seen a constant rise in the rate of disease among children and adolescents, involving, in the first instance, neuroendocrine, immune, and allergic disorders, anemia, and diseases of the circulatory organs. The psychological health of children is becoming worse, mainly at the expense of borderline psychological disorders. There is a constant increase in the number of handicapped children. Scientific studies conclusively demonstrate that restoring the resistance to the detrimental effects of the environment and increasing immune protection is directly related to supplying the body with a full and balanced collection of all the essential elements of nutrition. Ringing Cedars of Russia, together with the scientists of the Clinical and Experimental Lymphology Scientific Research Institute of the Siberian Division of the Russian Academy of Medical Sciences, is offering natural protein-vitamin product - the Cedar Power. 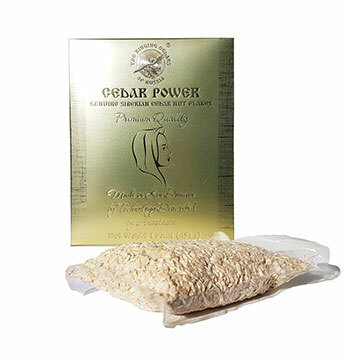 As healthy nutritional product, Cedar Power contains only natural components - the flakes of the kernel of the cedar nut. The regular use of Cedar Power makes it possible to effectively compensate for a deficit of protein, vitamins, and mineral substances in a natural form, and assists in the strengthening of immunity in children and adults. Cedar Power is a source of all the protein essential for the growth and development of children and for strengthening the immunity of the child. The plant protein of the cedar nut kernel contains all the necessary amino acids and is excellently assimilated. The oil of the cedar nut contains polyunsaturated fatty acids, with an optimal ratio of Omega-3 and Omega-6 essential fatty acids, important for the formation of the membranes of new cells during the intensive growth period of children. Cedar flakes contain a significant quantity of fat-soluble (A, E, D, K) and water-soluble (B group, C, PP) vitamins. This product is successfully used for the preventive treatment and correction of hypovitaminosis. The mineral composition of cedar flakes is noted for its high content of potassium, magnesium, phosphorus, copper, zinc, and iodine. Saturating the body with biological forms of iodine improves the function of the thyroid gland. The product may be recommended for the preventive treatment and correction of conditions involving iodine deficiency, which are prevalent in children and will often appear in the form of a delay in physical and mental development. The dietary fiber in cedar flakes has the ability to bind toxins and metabolic products in the intestines and to remove them from the body. It is a culture medium for the normal microflora of the intestines, therefore Cedar Power contributes to the prevention of dysbacteriosis and to strengthening immunity in children. The regular use of Cedar Power improves the formation, growth, and development of all the organs and systems of a child's body, and restores the mechanisms of self-regulation that have been genetically established. The use of Cedar Power protein-vitamin product makes it possible for adolescents to achieve their full development during the period of their sexual maturation, while allowing them to remain at an optimum level of health and creating the prerequisites for the proper formation of their reproductive functions. A Cedar Power protein-vitamin product may be effectively used for the preventive treatment of seasonal catarrhal diseases (acute respiratory viral infections, influenza, etc.) and for strengthening the immunity of children, which is especially pressing for groups of children, where infections are often "circulated."